We are glad to present you Rustic Wreath Creator. It includes hand painted rustic floral elements, created with sepia ink and watercolor. This is a great tool to create a special design in a single style. Besides, it’s fun and interesting. Find the combinations that you like! 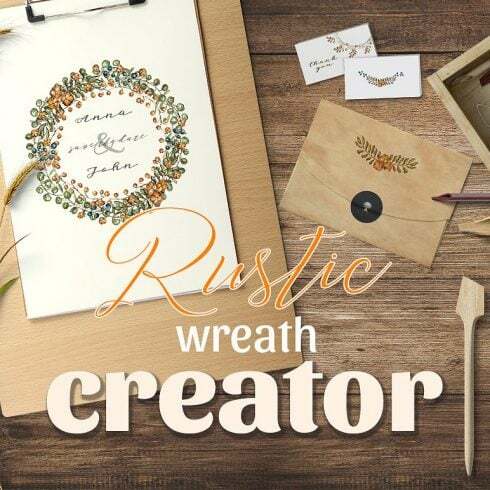 12 individual layers used in Rustic Wreath Creator in PNG – you can use them for designing in your favorite editing software! All files are supplied in 3000x3000px with 300 DPI. If you’re a web graphic designer focusing on multiple assignments , you, like no other people, comprehend the need for the whole bunch of design components available at hand. Hunting for those components separately, you may spend much more time and cash consequently. To obtain all of the desired components within a single pack, we advocate trying graphic bundles. A bundle is actually a assortment of digital elements needed for graphic design, valued for thousands of dollars, however offered at a discounted price tag for a limited time. The selections of components gathered into a graphics package are generally sorted as outlined by their type and purpose. 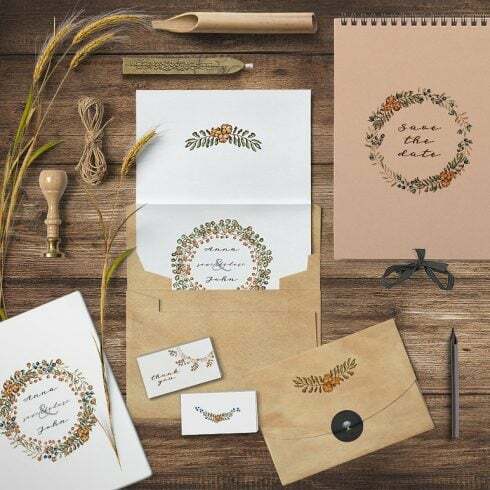 There could be bundles with infographics, wedding invitation templates, business card templates and icons, etc. You will also find graphic deals tailored for Christmas, Halloween or St. Valentine’s Day. How can you benefit from using Rustic Wreath Creator? The benefits of graphic packages for web designers are quite obvious. But if you are new to them and still have doubts, the following information will be useful for you. Including a multitude of the components within a single package, the selection gives you a chance to use different of them for various projects. Besides, the cost is often greatly reduced which allows you to stretch your budget, yet get the complete set priced at hundreds or thousands of dollars. How to spend significantly less money on MasterBundles.com bundles? Just share this page via social media – you automatically get the 5% discount for any of the graphic bundles you prefer. That is a super easy way of getting an expertly designed tools for a lower price. MasterBundles could offer you a large selection of unique bundles. MasterBundles markets not just graphics bundles but also approximately 20 other different types of products. Fonts, WordPress themes, mockups, icons, photos, illustrations, presentation templates and a great deal more – on the MasterBundles you’ll be able to obtain most of the graphic elements, vital for a design. The watercolor graphics package is usually a package which contains images and drawings designed with watercolors. They will perfectly come in handy for a wide variety of companies, like fashion, cosmetics, perfume and food distributors. Business cards or wedding stationery may be created using this package deal. If you feel like you’ve lost track of time while searching for various tools and components for your current graphic design projects, it is high time to learn more about MasterBundles. This is a platform providing the most popular tools (logos, graphics, presentations, icons, watercolors, fonts etc.) for designers, marketers, and web developers at a reasonable cost for a short period of time. To not miss out on significant information about the forthcoming promotions, we recommend following our blog and signing up for the email newsletter.